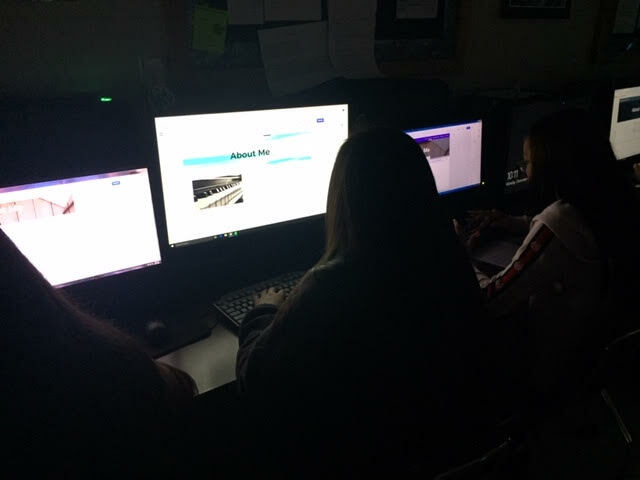 Last year, I had the opportunity to go into Mrs. Lynch's classes at BHS, and I was able to show her seniors how to make websites using Google Sites. These websites could then be taken with them, once they graduated, to use for a business they may one day open, for a place to host YouTube videos, or to show a portfolio of their work. This year, I was asked to come to Mrs. Lynch's graphic design classes with a variety of grade levels. Mrs. Lynch created an assignment where students created personal digital portfolios using Google Sites. She required them to have a home page, experience and skills page, reference page, contact page, and about me page. Google Sites does not have a ton of fancy features, but that is quite okay because it is perfect for our goal of digital portfolios. Google Sites is super user friendly to use, and the students caught on quickly how to create and upload because it utilized Google products. I love the fact that it is in their Drive, constantly saving as you work, and then it gives you the option to publish it to the world wide web or keep it private. Furthermore, the students have surprised me with how creative they made their portfolio websites look. They personalized it with their touch, and it looks amazing. 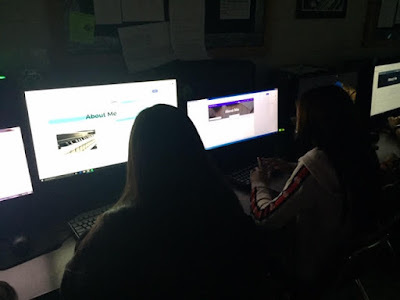 Another classroom, Mrs. Ruiz's class, is using Google Sites to build a Digital Break Out (Digital Escape Room). I was amazed how the students carried over what they learned in Graphic Design class to AP World History class. Those same students were making their Google Sites creative with beautiful page layouts. *Stay tuned.. I cannot wait to see the final products the students create in Mrs. Lynch's classes and Mrs. Ruiz's classes. 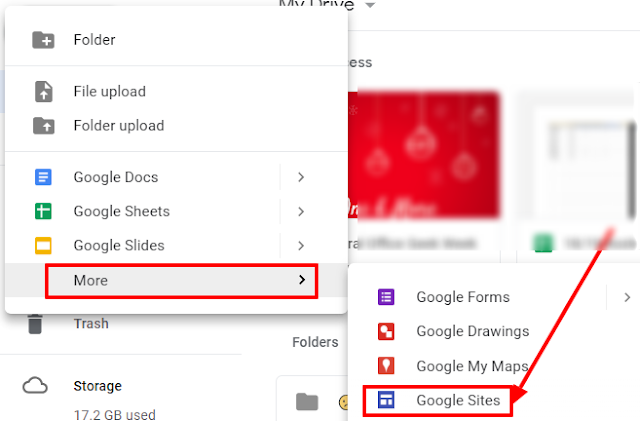 Where do you find Google Sites (in your Drive)?